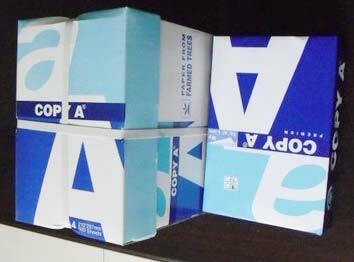 We are a prominent and reliable firm, engrossed in providing a broad range of Premium A4 Copy Paper. This paper is manufactured with cutting-edge techniques using superior quality wooden pulp. Accessible in A4 size, the offered paper is mainly used at shops for the purpose of faxing, printing and copying. Furthermore, this Premium A4 Copy Paper is highly applauded for its excellent whiteness.